Guitar Blog: Finding time to practice is NOT the problem. Finding time to practice is NOT the problem. Why is it that some people seem to achieve so much in so little time while others struggle? After all we all get the same amount of time right? Working with guitar students they would often say they don't have time to practice and I knew early in my career that my response to their lack of time claims literally determine their success as a guitarist. 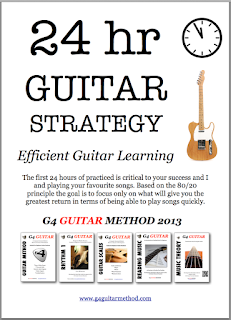 I knew to be a successful guitar teacher I needed to get students out of the 'I have no time' mindset. Successful guitarists always have time to practice. Joe Satriani, Steve Morse, John Petrucci and whoever your guitar heroes are they somehow manage to do the practice and still have time for tours, interviews, promos, friends and family. Having no time is not about a lack of time but about how we use time. Those who know how to leverage time will always achieve more so the aim is to leverage your time and the time of those around you. Leveraging means making the most of every minute and here are my tips and what I tell my students. Focus - Break up your day into 10min time blocks. Focus on one thing for 10 minutes. Do not allow distractions where possible. Applying this to your guitar you should break down your practice into 10 minute sessions. One skill, one bar or section of a song etc. When you start to focus you will get more done. Keep working to 10 min blocks and you will work more efficiently. Knowing you only have 10 minutes will give it a sense of urgency. Ever notice how sports teams go hard in the last 10 minutes when the score is close? As an example I am writing this blog in 10mins. Delegate - When you understand the value of time you can decide whether its best for you to do it yourself or to delegate. In other words where is your time best spent? 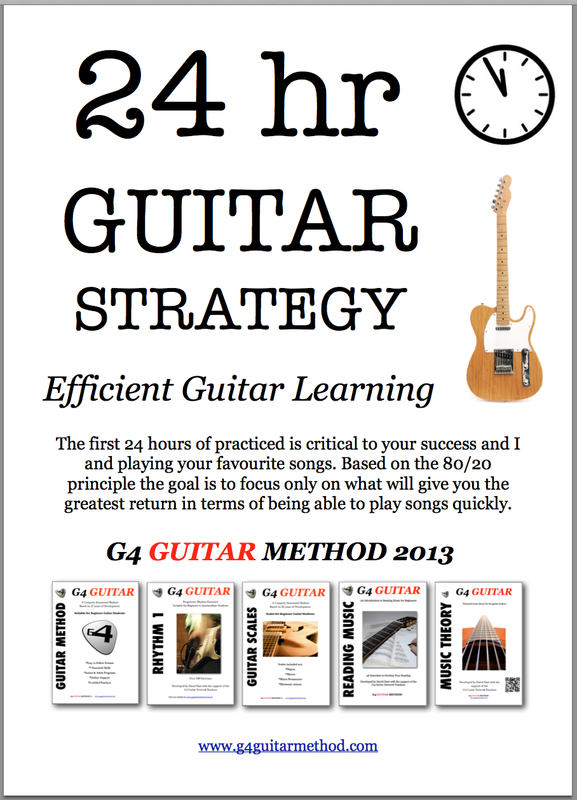 Guitar students of course must do their own guitar practice but you could delegate some other task that will free up more time for guitar. Going to a guitar teacher will also help you because you can delegate some of your practice program (which can take a lot of time) to your teacher. Technology - Another great example of leveraging is technology. The Internet for example allows us all to find information faster but there are now many helpful apps that will save you time. For example AB Loop is good for picking out sections of a song automatically. Working out songs by hitting the rewind button on your iPod is very time consuming. This one app literally saves me hundreds of hours. This can be applied in many areas of your life but it requires taking time out each week to look for the opportunities. Keeping looking and you will find. I hope that gives you a few ideas. This has been my experience. I have become more clear on what I need to accomplish each day, each week, each month and beyond. I must say no to many things because I have already said yes to a recurring commitment....the study of guitar, and that means daily practice. Therefore, as much as I may enjoy other things, I can turn them down with confidence and no second thoughts. "I cannot get her to practice at ALL. Help!"